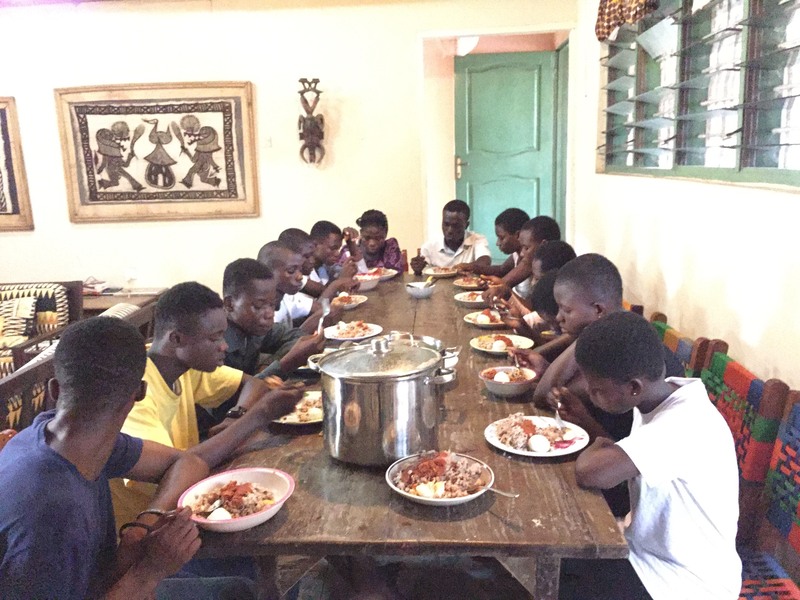 First of all, I would like to Thank You on behalf of TeamAnansi Ghana for giving out your residence to be used to host some of the Anansi students. The benefits and impacts we are making in the lives of these vulnerable and dire need students are awesome. We hosted the Gold Track Anansi students who are on vacation for like two months from the 22nd March to 1st April, 2019. On day 1, 12 of the students reported and one student reported the next day. 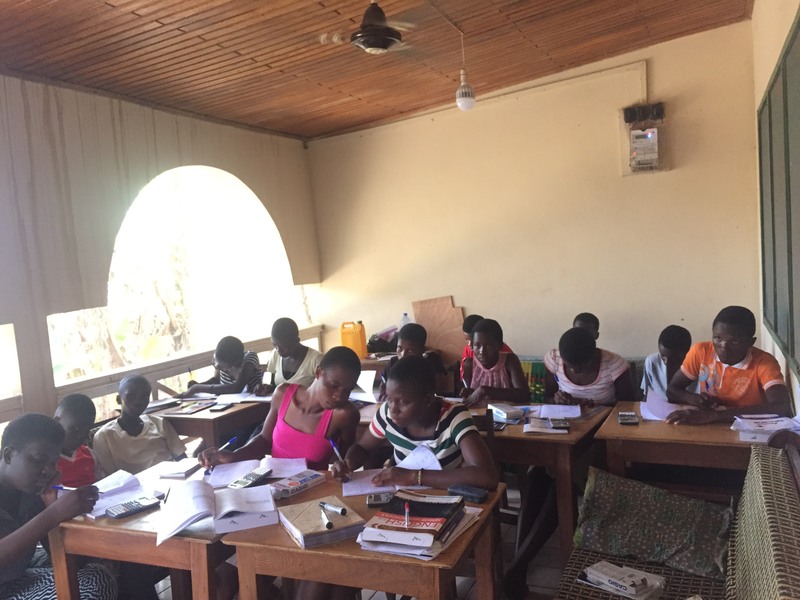 In all we had 14 students participating in this 10days vacation classes, 13 Anansi students and one non-Anansi student but was part of the students we couldn’t support. Active classes started on Saturday the 23rd of March and ended on Monday 1st April. They had morning group studies from 7:00am to 8:30am and then breakfast. After breakfast was a free time till 10:00am when they went in for the first lesson. Each lesson had 1hour 45mins, so that the facilitator would have enough time to give out more trial works. The second started at 12:00pm and we mostly breaked within the period for the students to have their lunch. The third lesson started somewhere 2:30pm. Again, when the lessons were over we had the students to have their nap/siesta for an hour. From that is their Library time where they read sections of Achebe’s “Things fall Apart”. They took their shower after an hour of reading and came in for supper. There was another free time of almost an hour after dinner till 7:30pm to go for evening studies. We ended everything for the students to retire to bed around 9:00pm. There was full of excitement in this vacation classes as the students got to do some computing, learned Ethics and Giving Voice to Value alongside their various subjects. Allowing the students to follow and practice some examples on my computer got them so excited. One of them approached me and said that was her first time of feeling comfortable touching a computer. This time classes was special because besides the computing and giving voice to value lessons, the students wrote their individual reflections each singled day. Bright Osei Owusu said, the reflection got him to think critically and analytically. Beside his feedback, I felt that the students had gained special good values which they couldn’t wait to go out there to demonstrate. As part of their stay at the Anansi House, we went to Hans Cottage Botel for the students to go and see real Crocodile while as feeling it. It was their first time seeing lived crocodile. Although they were excited seeing it but fear crippled them when they were given the opportunity that they could touch it. I did it and almost all of them followed suit. Oh, before I forget, we had the students chair the dining in turns. The table leader for the day will advise his/her colleagues. 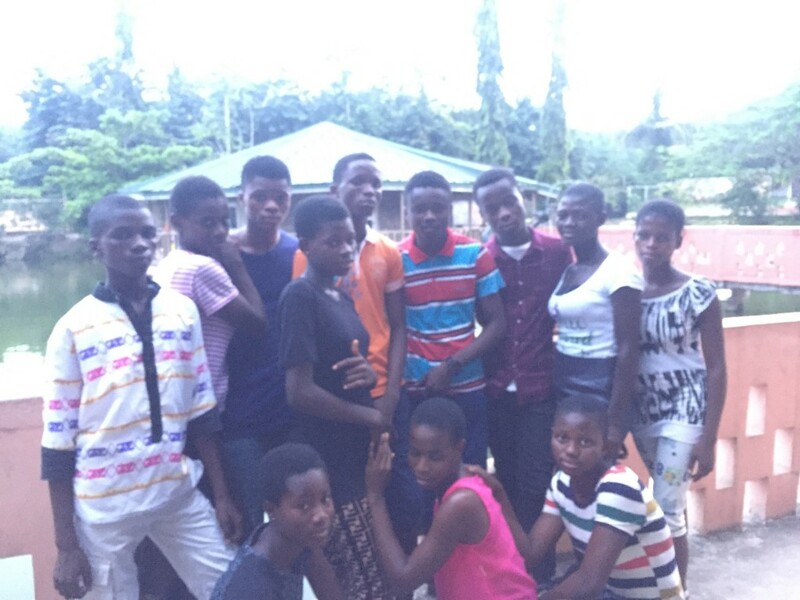 I was dumbfounded how these students moved from the timidity and shyness lifestyle after two days of admonishment. They shared informed and loved to open up and say things whenever they felt their values were being trespass. I remember Gloria Opoku Mensah from the Jane Talbot Satellite taught her friends some table manners. Sarah Andzie Benyin of the Roe Kathryn Satellite advised her friends to socialize but not to sexualize, to love but not to fall in love. My God, my amazement never ceased. I realized the lesson on Giving Voice to Value really helped us to get the students to open up. To end it all, we successfully ended the classes with the Gold Track students. Find attachments some of the photos I took.